Plumbing is all about fittings and supplies. Pipes are used to bring and take water while the fittings control and manipulate the flow of the water. Determining what pipes you need is easy enough. Pipes are straight and available in an array of sizes. Fittings, though, can be overwhelming. 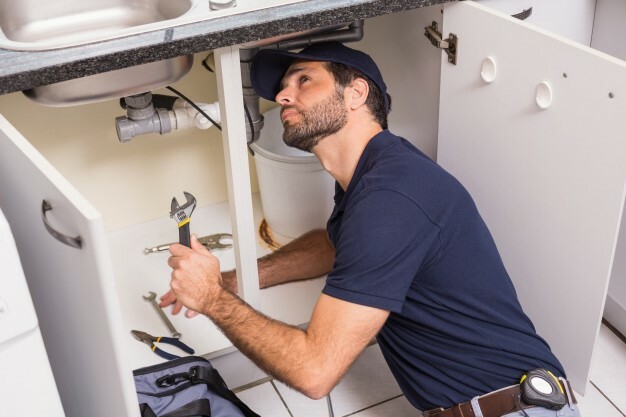 Here, we look at some of the most common fittings and supplies, so you can get plumbing supplies online at Trading Depot. These are used to change the type of connection at the end of pipes or to extend rings. This way, you can connect different kinds of pipes without needing a more complex setup. You can use bushings to join pipes of different sizes. Bushings are typically threaded inside and out and take up little space compared to a union. Caps are used to close up a pipe end. So are plugs, but plugs fit inside a fitting and are threaded through. Caps, however, can be soldered, glued or threaded onto a pipe. You can use a coupling to extend the run of a pipe or even change the size of different pipes. Couplings come either unthreaded or with female threads. Elbows can help you to change the direction of the flow of water. Elbows are mainly produced at 45 and 90-degree angles and can be sweated or threaded. These are arguably the most used types of fittings in the plumbing trade. Street elbows have both female and male threaded ends which makes them easy to connect different fittings or pipes. You can also find a few unique elbows with side outlets that make it act like a tee complete with a bend. You need flanges to connect your pipes. The pipe is welded or threaded to the flanges, and the flanges are then sealed together, most typically with bolts. These connections are used in a wide range of industrial applications that handle high pressures. You’ll also find them connection your pump systems in your home. These are short, stubby pipes that are male-threaded at either end. They are used to connect typical straight run pipes. When you need more than one branch of a water supply, tees are what you need. They’re essentially a long coupling with an outlet on the side, featuring outlets at 90-degrees from the inlet. Tees are sized according to their run and the side of the outlet. If the run of a tee is smaller than its side outlet, plumbers sometimes refer to it as a bull head fitting. Unions are a good alternative to couplings. Couplings need to have pipe threaded through them, whereas unions rely on their own nut to make a seal between the pipe ends. This makes unions ideal for connecting two fixed pipes and also makes future repairs a whole lot easier. Wyes are fittings for drainage that has a 45-degree branch line to keep the flow of water smooth. These are the most common kinds of plumbing fittings and supplies.